Just because you've adopted the Paleo diet doesn't have to mean your days of mouth-watering chicken wings are over! In fact, there's an easy and delicious way to still enjoy favorite flavors such as honey garlic without any breading, dairy or olive oil. Grain- and dairy-free eating often means lots of thought and preparation, but with your slow cooker, all of that is made easier. By slow cooking these chicken wings, you are in control of the ingredients. Better yet, you won't have to keep an eye on them while they cook! When you use your Crock-Pot® Single Hand Cook & Carry® 6-Quart Oval Slow Cooker to make these tasty grain-free wings you can easily transport them to tailgates, parties and barbecues. The easy-grasp handle and secure-fit locking lid make transport easier than ever. Once your chicken wings have finished slow cooking simply lock, grab and go with just one hand! This recipe takes just a few minutes of preparation. 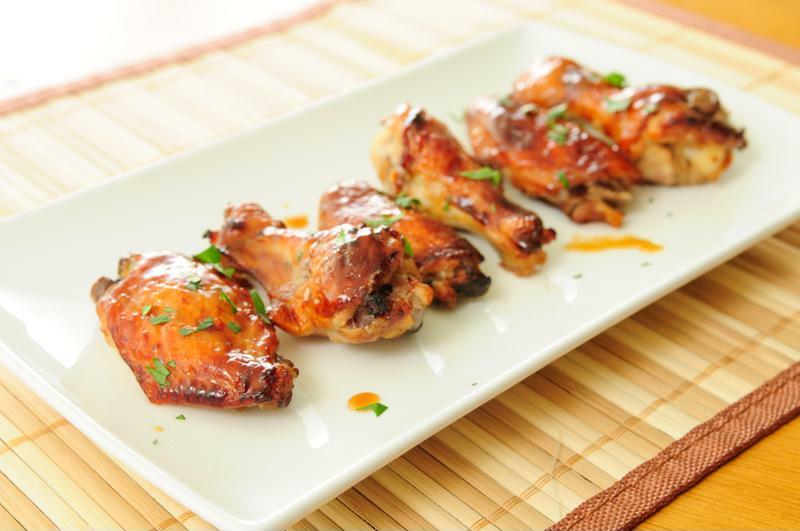 These honey garlic Paleo-friendly chicken wings will be a huge hit with the entire family. Place a Crock-Pot® Slow Cooker Liner inside your slow cooker. Place chicken wings on the bottom. In a bowl, combine the honey, lemon juice, water, coconut aminos, apple cider vinegar, garlic powder and ground ginger. Pour mixture over wings and mix well. Cook on high for 3 to 4 hours or on low for 6 hours, until cooked through. Due to the slow ramp up, and even heating of a slow cooker, recipes featured on this site can be cooked in a range of slow cooker sizes. Recipes can be increased or decreased by one quart size per the cooking instructions. For smaller sauces and dips that call for 3 quarts or less, it is not recommended to alter the unit size. Crock-Pot® is a registered trademark and should not be used generically when referring to a 'slow cooker' within the recipes.